The recent photo of the M87 black hole named Powehi reminds me of Lord Jagannath's eyes. Lord Jagannath is the "Lord of the Universe". The Shree Jagannath Temple in Puri is one of the four dhaams (sacred places) of India - that every Hindu must visit once in her/his lifetime. Puri is located in Odisha in eastern India. Surrounded by a fiery orange and red ring, the resemblance of the black hole Powehi with the Lord's eyes is strikingly similar and indeed interesting and intriguing. Black holes had been fiction until 10 April 2019, when scientists released the first image. This black hole was found in one of the largest galaxies in the universe, a galaxy named M87. This galaxy is located over 53 million light years away from Planet Earth! "We didn’t know, even though we had predicted that if you had a black hole that you would see this ring of light, but we didn’t know we were gonna get that ring of light...Being able to see that it exists is huge." 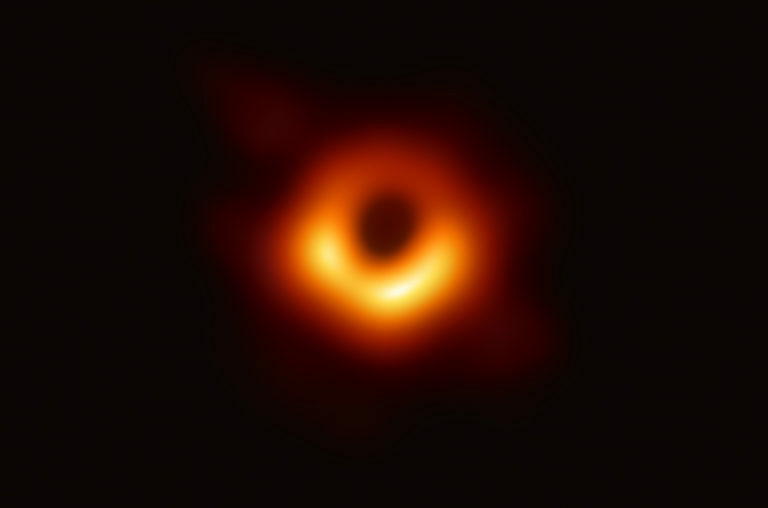 Now that we have captured the maiden image of a black hole, the hope and possibility of human success to discover and capture images of all what has been a figment of our imagination or study/research seems to be a reality. Wow! Lord Jagannath's eyes and black hole do look similar. Interesting observation, Anita. I want aware of the power and details of Lord Jagannath's eyes. Thanks for an informative post!